THE SPOTTED HARE: Thankful . . .
Wishing you all a wonderful Thanksgiving with those you love. we had to take my mother to the hospital yesterday. She's had a couple falls recently, luckily nothing broken, but at 95 that's a big worry. I'm finding myself needing to be in 2 or 3 places at once. Have a Thankful day . . .
Family first. Rerun of pictures is no problem especially such a cute one. 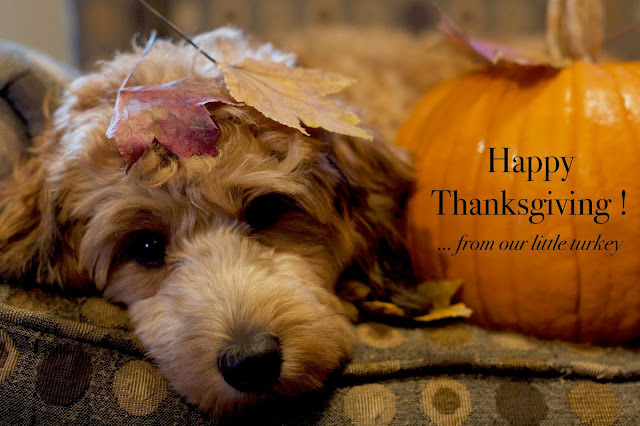 Have a wonderful Thanksgiving!!! Good wishes to your mom. I don't think I saw this (totally adorable by the way) photo last year, so for me it's new. What about thinking of it as the start of a new tradition? I wouldn't mind seeing it every year.